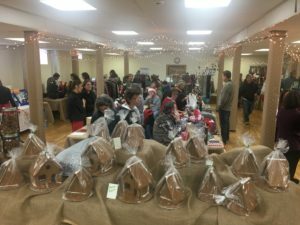 The Church of the Magdalene in Pocantico Hills is hosting a Holiday Market today from 10 a.m. – 4 p.m., selling everything from homemade granola and hand-sewn pillows, to skin care products, wreaths, cookware, jewelry, candles and more. Kids’ Club is honored to be receiving the vendor fees from this event, and is very grateful to the Magdalene for their generous support of our mission. We look forward to next year’s reprise of the event on December 7, 2019.